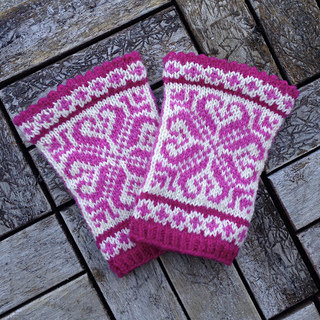 Roskva gauntlets feature a Norwegian goat’s horn motif. They are a quick knit and great stashbusters. 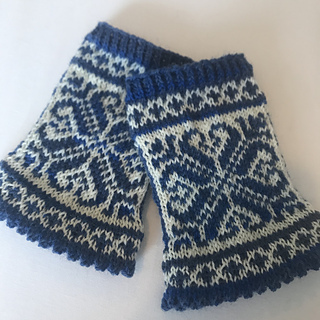 The pattern assumes that you have experience knitting in the round and with stranded colourwork. If you have made this pattern and would like to show your appreciation, please consider buying me a virtual coffee! Thanks for your support! These gauntlets are part of my series Among the Æsir, a collection of accessories named for the Norse gods and their world. Roskva and her brother Thialfi are servants of Thor.